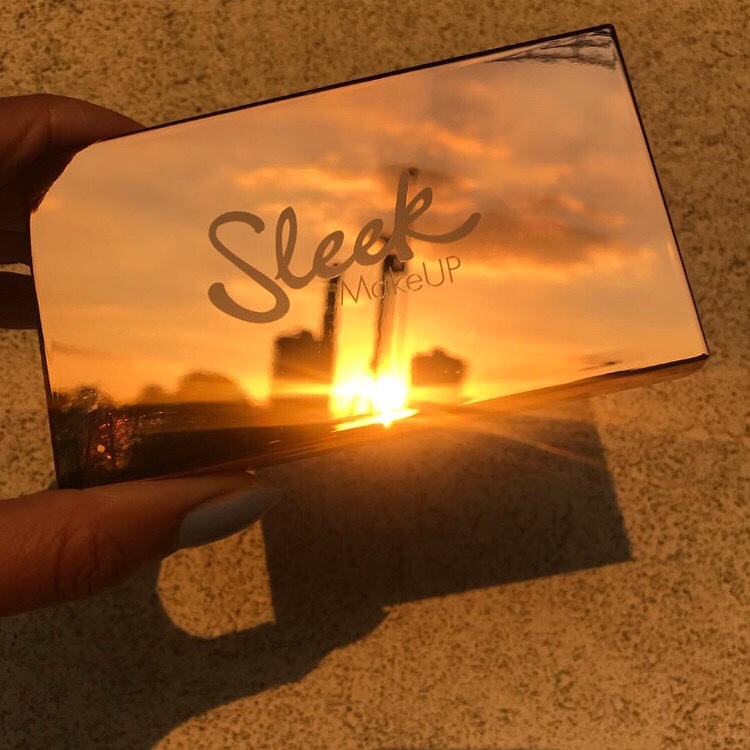 An affordable makeup brand that I absolutely love is Sleek. Their foundation and highlighters are just as good, if not better than some of the premium brands which cost more than double. I own a lot of sleek highlighters and eyeshadows as they are affordable, yet look expensive, highly pigmented, don’t irritate my skin and blend so well with my skintone. This Copperplate highlighting palette is my absolute favourite. It launched around 6 months ago but has taken me through Autumn, Winter and now Spring – I just love it! Featuring rich coppers and duo-toned gold shades to give you a lit from within glow, no matter what your skin tone. The four goldy, pinky, bronzy colours are amazing. Try them all out and decide which one suits your skin tone best. I use the rose gold for a day look and add more gold when I’m going out for a iridescent finish. Sometimes, I just blend them all together as the copper shade brings warmth to the face. You can experiment with this palette and go for a dripping gold look, or a subtle shine. I never use the brush provided unless I have to and prefer using a fan brush for my cheekbones and blend out with a wet beauty blender. You can also use this on your nose, cupids lip, brow bone and eyes. These images were taken in late summer by me. I cannot wait for these sunsets again, however, I can mimic the glow on my face, until the sun comes back! Next Try John Masters Organics – for your best hair ever!